Boys Varsity Basketball’s win over East Canton on Friday, 1/11, helped Head Coach Mark Schlabach achieve the 400 win milestone! 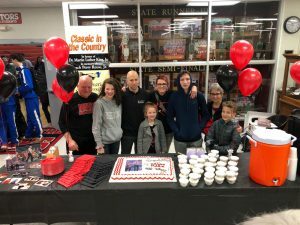 Mark is currently in his 14th year at the helm of Hiland’s boys basketball program. With a 12-1 current season, Mark’s overall record stands at 400-75. Congratulations (and thanks!) to Mark and his staff for impacting kids, schools and the Hiland/Loudonville communities with dedication and commitment to excellence throughout his tenure!